When Glenn Beck was working for Fox News he pulled in $2.5 million annually, not a bad sum of cash for basically acting like an uneducated nitwit, yet it turns out he was being vastly underpaid. Utilizing his new GBTV paid subscription network on the internet Beck is currently collecting $9.95 per subscriber for his 2-hour daily show and it didn’t even debut until Monday night. Beck has already managed to rack up 230,000 paying subscribers, a number that has tripled since June when 80,000 people were paying $9.95 per month for his Insider Extreme subscription network which automatically rolled over into the GBTV network. Not only is the WSJ correct, they have vastly understated the earning potential Beck could take away from his new media outlet, GBTV is already set to earn $27 million in subscription fees annually and Beck is only attracting 1 percent of his old Fox viewership, if he can parlay his network into just a 5% hold over his original viewer base he could take in 1 million subscribers for a payout of $135 million. Should Beck choose at any point to sell advertising spots he could garner even more cash for his efforts. He could also push up subscriber levels by utilizing more social media and other web advertising to grow his network, something that didn’t really translate to his Fox News broadcast which solely relied on the traditional advertising methodology laid out by News Corp.
I’m not saying traditional media is dead but we could see more big name pundits jumping ship soon if Beck’s gamble pays off in the future as it is at this very moment. 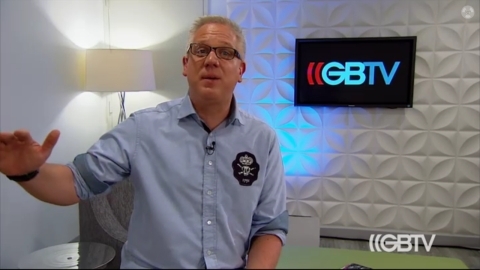 I on the other hand would gladly pay $9.95 each month to avoid listening to Glenn Beck if that was my only choice.